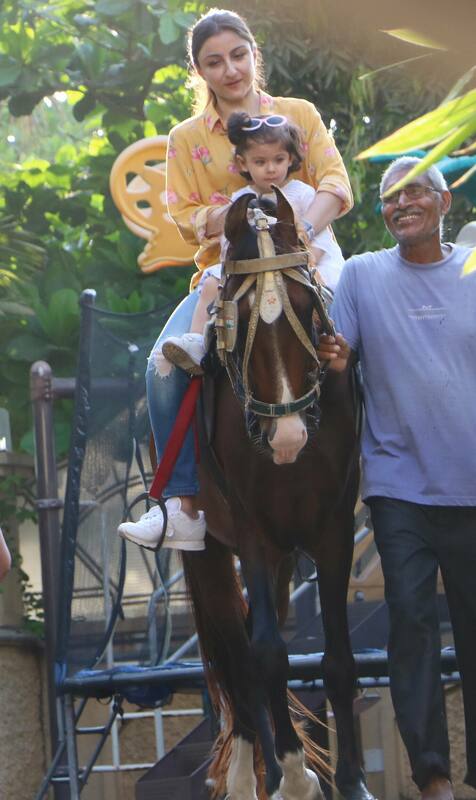 Bollywood's favorite baby Taimur Ali Khan was recently clicked enjoying horse riding in Bandra. 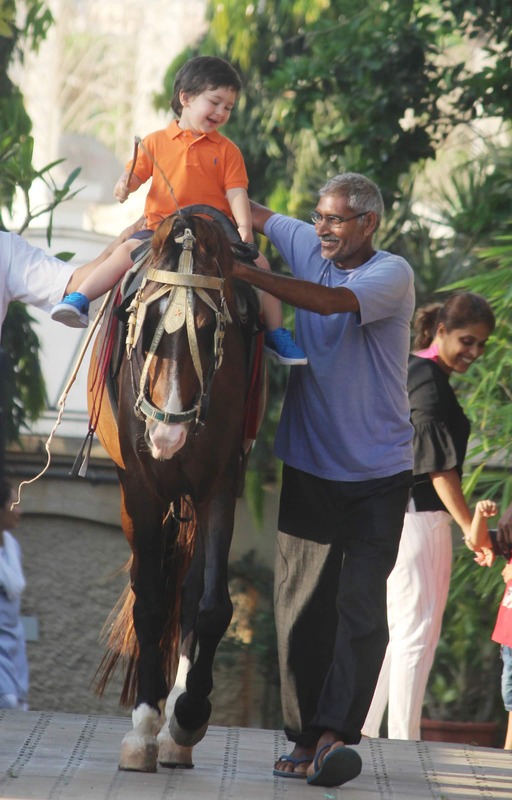 He was accompanied by his aunt Soha Ali Khan and cousin Inaya Naumi Khemu. 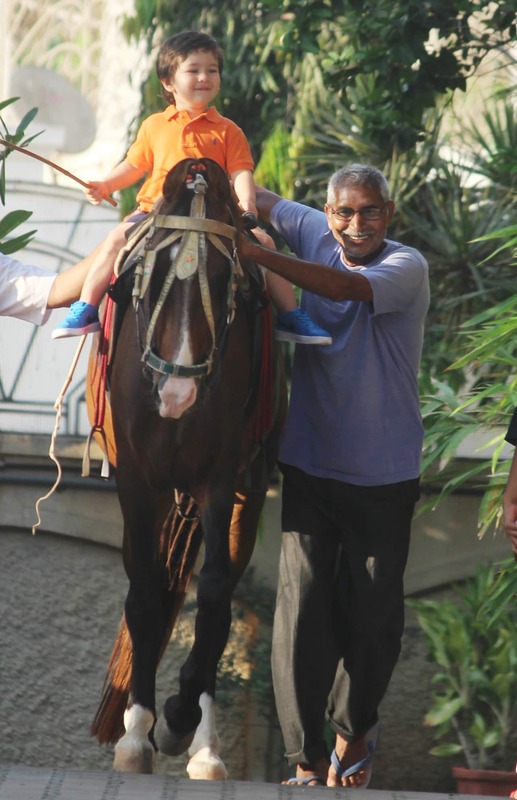 The adorable munchkin is all of two and already learning a lot of things. The little munchkin was spotted with Ukelele a few days ago. Recently, a video of Taimur kissing Saif went viral on social media. 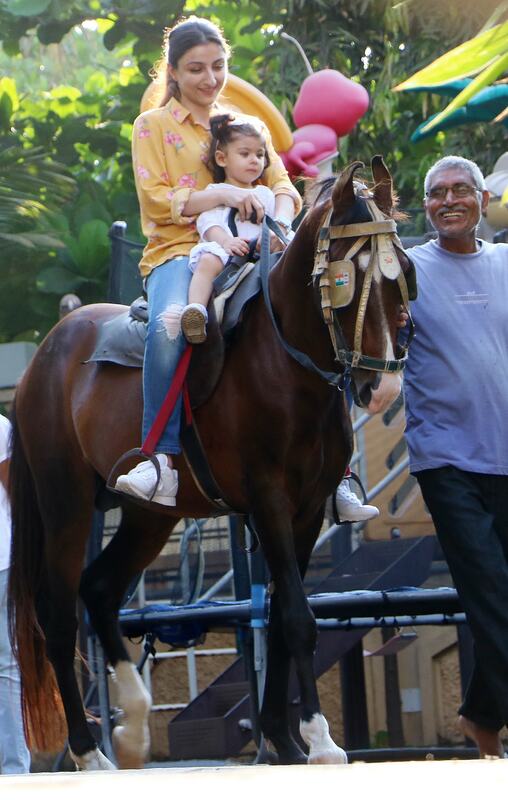 Soha Ali Khan was spotted riding a horse along with daughter Inaaya. 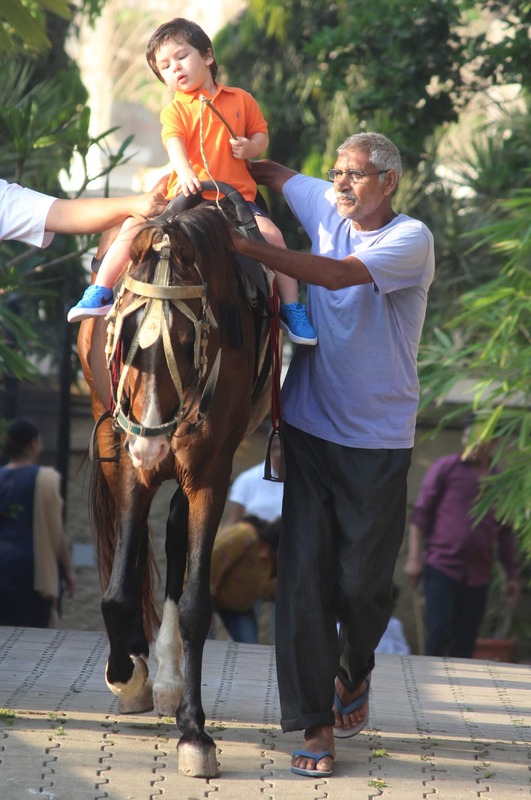 From the moment he was born, Taimur's pictures have been floating on the internet.